In 3 easy steps, find out how much you can save and how to Work Well as a member of our community. 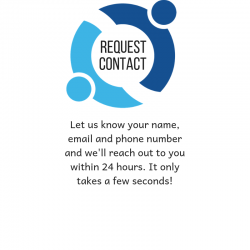 Click “Request Contact” to get started today! As LifeWorking Coworking members, you and your team can take advantage of a large-scale partnership with one of the top HR providers in the nation. 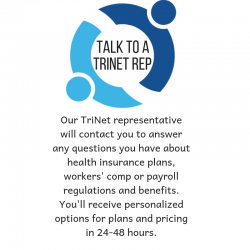 TriNet is already helping hundreds of entrepreneurs with healthcare, payroll, workers’ comp and more. Whether you’re a 1 person start-up or a company of 600, TriNet provides all the HR solutions you need to let you focus on your business. LifeWorking Coworking uses TriNet to provide our employees with the best health insurance plans, transparency on benefits and compensation, and an easy-to-use online interface. Contact LifeWorking today to get started!